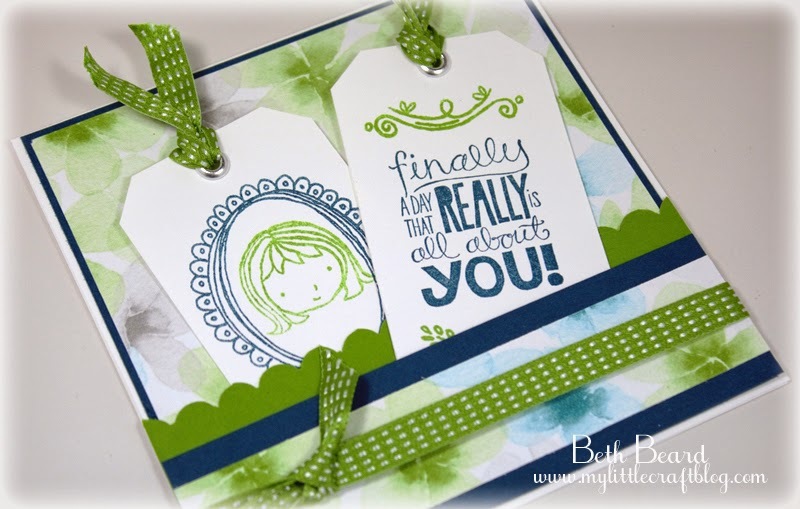 We have a really fun sketch challenge this week at Pals Paper Arts! I'm excited to see all the creations from our talented design team members. Sometimes cute happens—and you’ve just gotta share it! For today's project I used the new Sweetie Pie (love the name) and Sweetie Pie Frames stamps sets. 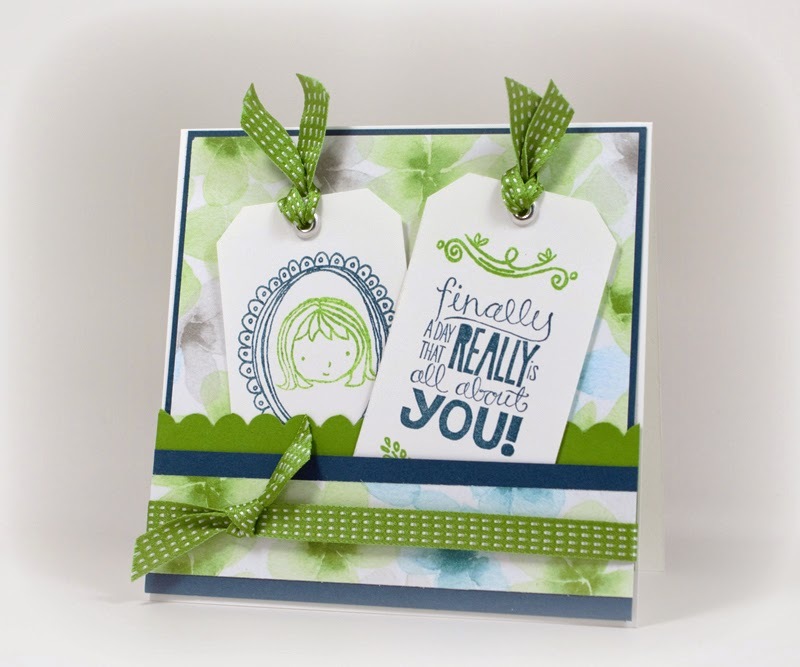 Have you tried Stampin' Up!s photopolymer stamps yet? I hadn't until now and I'm really diggin' them. They stick beautifully to the clear blocks, stamp perfectly and clean with ease. The only downside is they have a "rubber-ish" sort of odor, but I don't mind it. Plus, the smell is one sure way to know it is a true photopolymer stamp and not silicone. They are also not "squishy" like silicone stamps, so you get a clean & crisp image every time. Those stamp sets go together well! I love your card! These images were made for each other Beth! What a fuun card! This is adorable! I'm really warming up to the little faces! I love the photopolymer stamps. So cute Beth. You've done a great job with the new stamp set. Love anything realated to our Water Color products...this card is adorable...so sweet! Love this stamp set. I've just ordered it.